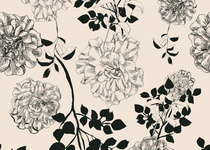 Cerys studied Textile Design at Central Saint Martins, specialising in printed textiles. 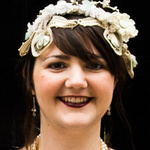 Since graduating she has worked in the fashion industry and continues to work as a freelance...Read moreCerys studied Textile Design at Central Saint Martins, specialising in printed textiles. Since graduating she has worked in the fashion industry and continues to work as a freelance textile designer, designing prints for fashion and interiors. Designs have sold internationally to renowned brands such as Salvatore Ferragamo, Topshop, Forever 21 and Gap. Often inspired by her collection of unusual, eclectic objects- some of which she has had since childhood and influenced by past styles and other cultures, Cerys has an eye for putting unusual things together with a strong sense of colour. She enjoys experimenting and working hands-on with traditional techniques like cross stitch and screen printing and also develops ideas digitally. Cerys has designed for independent labels as well as large international brands. Clients include; Alicia Berkeley, Almond Lingerie, Armpocket, Asda, Baby Noe Noe, BHS, Charlie St Kitts, Charlotte & Co, Cub London, Dunelm Mill, Eki Orleans, Eva Sonaike, Forever 21, Frolik, Gap, House of Fraser, Homebase, Koolsun, Penneys, Primark, Ravida Lingerie, Rip Curl, Somedays Lovin, Tesco, Trollied Dollie and Vassilisa. Description: Creating graphics and textile designs for garment fronts. 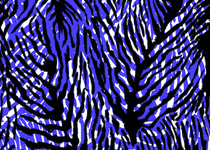 Designing all-over digital prints for womenswear. Freelance work for studios; Longina Philips Design and No Name Design Studio. Designs have recently been sold to Forever 21, Cub London, Koolsun and Gap. Description: Colour and print direction for forthcoming seasons. 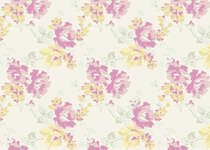 Developing prints for trends from Next and Jane Norman. Collating catwalk and high street information in order to develop prints. 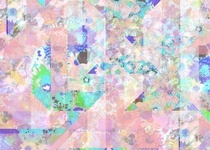 Developing new ideas for fabrics and designing prints- including re-colouring print ideas. Working on both all over and placement prints. Responsible for all aspects of the administrative side of the UK business at this Turkish-based jersey supplier. Updating and following all customers orders. Description: Responsible for many aspects of the day to day running of the business at this small fashion company working with high street brands and development of 'Liquorish' label. Updating and following critical path, making orders for production. Liaising with customers and factories to ensure everything runs smoothly and all deadlines were met. Assisting with design- developing visualisations to show different fabrications/prints within styles. Graphic design work- T shirt designs and own label brand artwork (including labels, swing tickets, etc). Absolutely pleased with Cerys work! She did an amazing job and had good communication throughout the project. She gives suggestions when needed which was of great help. Would love to work with Cerys again in the future. Cerys is a true professional! Cerys did an amazing job on a custom print, Cerys was flexible and timely with her responses. We are delighted with the outcome. Highly recommend and wouldn't hesitate to use Cerys again. I have worked with Cerys on several projects and have found her to be professional, talented and on point. I continue to give her projects because of the above. I highly recommend her !!! Excellent! Did the job on time and effectively! We couldn't be happier and we shall definitely use her services again. Thanks! Looking forward to working on more designs for you. I am so thrilled with the work Cerys has completed for me. She understood the brief and communicated regularly with ideals. 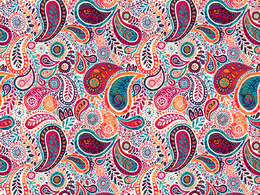 I now have a beautiful repeat pattern design that I am completely thrilled with. I look forward to working with Cerys again in the future. It was great working with Cerys. She was extremely patient with my creative ignorance. Very responsive and great suggestions.